Combining a consumer-friendly operating system with the rugged protection needed for work, RS30 fills an important niche for small to midsize retail and supply chain companies. 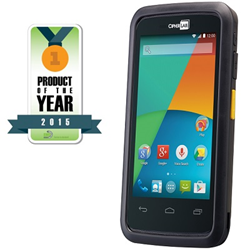 CipherLab, a leading innovator in Automatic Identification and Data Capture (AIDC) for the retail, warehouse and distribution markets, announced today that its RS30 series Android Touch Computer has been named “2015 Best Android Product of the Year” by EMS Barcode Solutions. 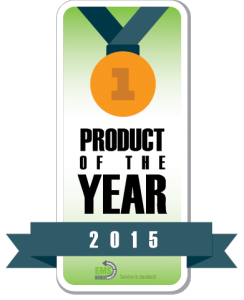 CipherLab understands the challenges end users and IT solution providers face, and it’s developed a viable solution: The CipherLab RS30 Enterprise Smartphone, which earned EMS Barcode’s vote for “2015 Best Android Product of the Year.” EMS Barcode customer 415 IT evaluated the RS30 for one of its retail shoe store clients last year. CipherLab’s RS30 series Android touch mobile computer is a rugged smartphone that allows users to perform at a high level with minimal training. Its Android 4.4 OS paired with a 4.7 inch touch screen ensures that the user interface is as familiar as a personal smartphone. The touch screen is composed of a Corning Gorilla Glass 3 panel that can take vigorous tapping as well as latex glove touches. Seamless communication and collaboration among crew is achieved through HSPA+ and finely tuned 802.11 b/g/n. The RS30 also includes versatile industrial barcode reader options and Near Field Communication (NFC) to ensure top productivity. These features are ultimately protected with an industrial design which is proven to sustain accidental drops and water splashes. With the RS30, you can maximize your investments and perform with confidence. For more details and specifications regarding CipherLab’s RS30 Android touch computer or request for a free demo, please send an email to NASales(at)cipherlab(dot)com or contact our office at 888-300-9779. EMS Barcode Solutions offers a wide range of products to fit your business needs. From hardware and media such as barcode scanners, wireless barcode scanners, barcode printers, and robust mobile computers all the way up to stand-alone or fully integrated software systems, and we don’t stop there. We believe the real job for us begins after you’ve chosen the right solution for your business. With our dedicated team of service professionals, we work hand in hand with your company on implementation, data imports, training, configuration, and much more. Our goal is to ensure you realize ROI as quickly and efficiently as possible and have a reliable business partner for years to come. CipherLab is a global leader in the design, manufacture, and marketing of Automatic Identification and Data Capture/Collection products and systems. The company’s mobile computers and scanners are integrated into the networks of some of the world's best known logistics, retail, distribution, government installations, and healthcare companies, helping them run more efficiently and effectively onsite and on the road. CipherLab USA is headquartered in Plano, TX. For more information, please visit http://www.cipherlab.com or like us at http://www.facebook.com/CipherlabUsa.